Human activities such as deforestation, overgrazing, poor soil conservation, etc. have led to the transformation of regions with initially fertile land into desert-like areas i.e. become barren and infertile. This process, known as desertification, occurs most commonly in arid and semi-arid regions which already have high temperatures, low rainfall, and sub-humid climate. Although the presence of deserts is completely natural, the aggravation of desertification due to more and more regions turning into deserts creates an imbalance in the environment. To tackle the problem, it is important the most susceptible areas are dealt with first as that alone could reduce desertification to a large extent. Following are the most popular causes of desertification. Deforestation: With the passage of time and the evolution of modern technology, more and more forests are being cut down and on larger scales for new raw materials and for infrastructure and fuel purposes. Thus, the roots of trees that usually hold the soil firm are no longer present to anchor the soil. This leads to the topsoil layer easily being carried away by different agents such as wind, rainwater, etc. and expose it to erosion. It also causes soil leaching and the loss of nutrients in the soil components. Overgrazing: In earlier times, man lived as a nomad and constantly changed his location. Hence cattle and other animals also ended up grazing in different regions each time. But today man has started settling down in a specific region, and because of this his cattle ends up grazing the same area for extended periods of time. Because of this over-exploitation of the vegetative cover by livestock, the grass which is essential for anchoring the soil in dry regions is once again exposed to wind and running water for erosion. Hence confining animals to one place for grazing should be avoided as it can lead to the exploitation of a particular region of vegetation. Other small factors also lead to desertification. 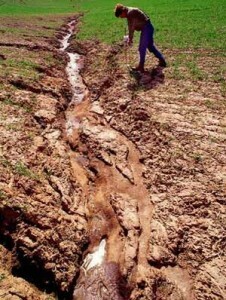 In many areas, farmers still use outdated and unscientific agricultural techniques which can harm the soil, strip it of essential minerals and moisture and result in eventual desertification. Additionally, the population explosion means resources are constantly being consumed and there is a need for their renewal. Along with that further urbanisation and the struggle for more space for the new larger population can cause more desertification. There are many reasons why desertification should be a cause of concern to us. Although most of its direct effects impact only the environment, these effects do indirectly interfere with human life. The most obvious way it affects the land is soil erosion. The top soil layer gets exposed for soil erosion to wind and water. This worsens the desertification because there is no plant cover and no roots to hold the soil together and prevent it from tearing apart. Because of the cracking of soil and the change in its texture due to over-farming and drought, it can no longer hold moisture within it to provide to the plants and hence becomes infertile. It is ultimately useless for plant growth because plants do not receive the required amount of water from the soil. Although the effect of one or two dry spells on the soil can be reversed, repeated desertification can leave it permanently damaged and impotent. Because of the above mentioned soil erosion and other leaching of soil and its nutrients, the soil is deprived of all the minerals and other components that make it a source of nutrition for plants, trees and other vegetation. Thus the soil becomes infertile and remains of no use. This is the biggest problem with desertification – previously cultivable land becoming non-productive. The lack of food due to the now worthless soil affects not only humans but animals too, as does the shortage of water due to reduced rainfall. In an age where there is already a lack of space for the population, the last thing we need is more and more land taken away from agriculture and other food resources, and instead being turned into concrete. Desertification can also encourage natural disasters such as floods in heavy rainfall regions, storms, and land, air and water pollution. Aside from the major impacts it has on our food sources, natural resources and vegetation, desertification can also lead to climate change. 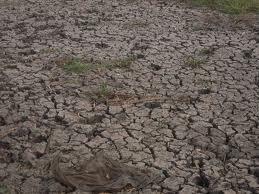 As more land becomes arid or semi-arid, there is less evaporation which leads to less rainfall. The lack of rainfall causes droughts, which makes the climate hotter and drier, which in turn results in further desertification. It is indeed a vicious cycle. As we can now see, desertification is a severe issue that needs to be tackled soon and effectively. The best we can do about this problem on an individual level is to create awareness and participate in conservation activities. On the other hand, we can all play our part by doing our best to save food, water and other such resources.